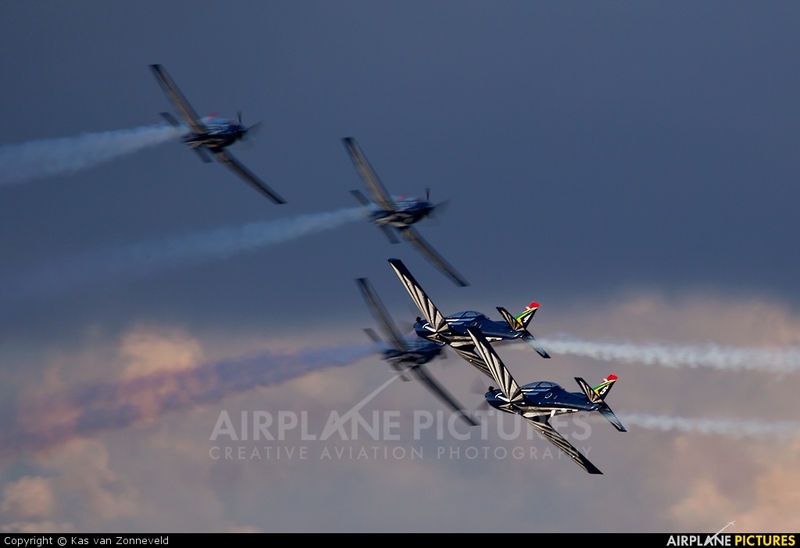 The Silver Falcons performing at the Swartkop airshow 2013. This was their second time up, the first one was done when it was still pretty cloudy, but in the afternoon the sun showed its face. I'm glad it did, because it enabled me to get some better shots than I already had. I The timing in this one is just right, as the 3 aircraft behind # 4 and 5 are already in the shadow as they fly towards each other in front of the crowd.